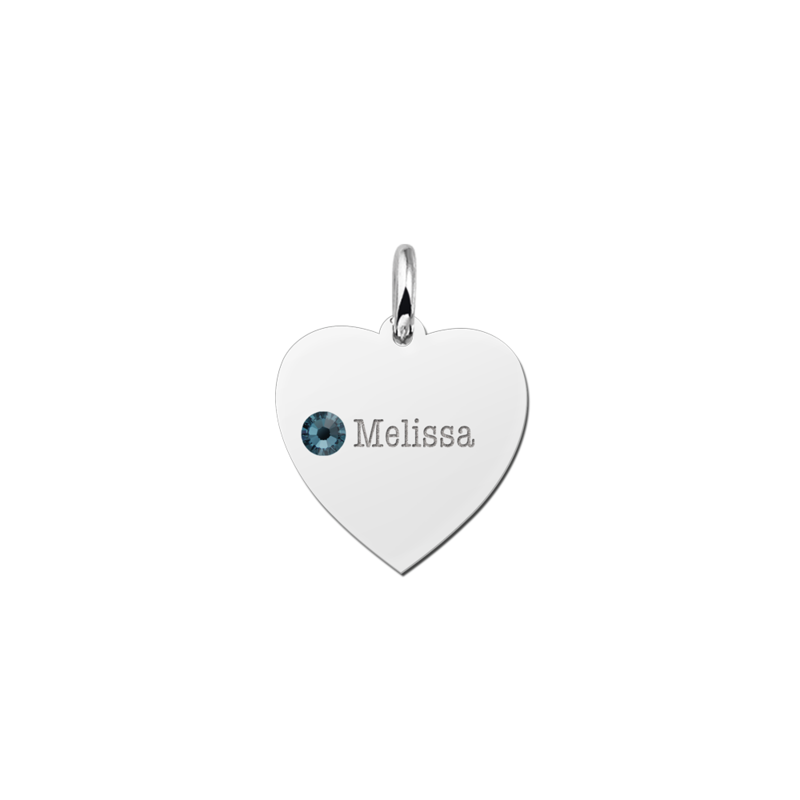 What a popular pendant in silver you’re looking at. 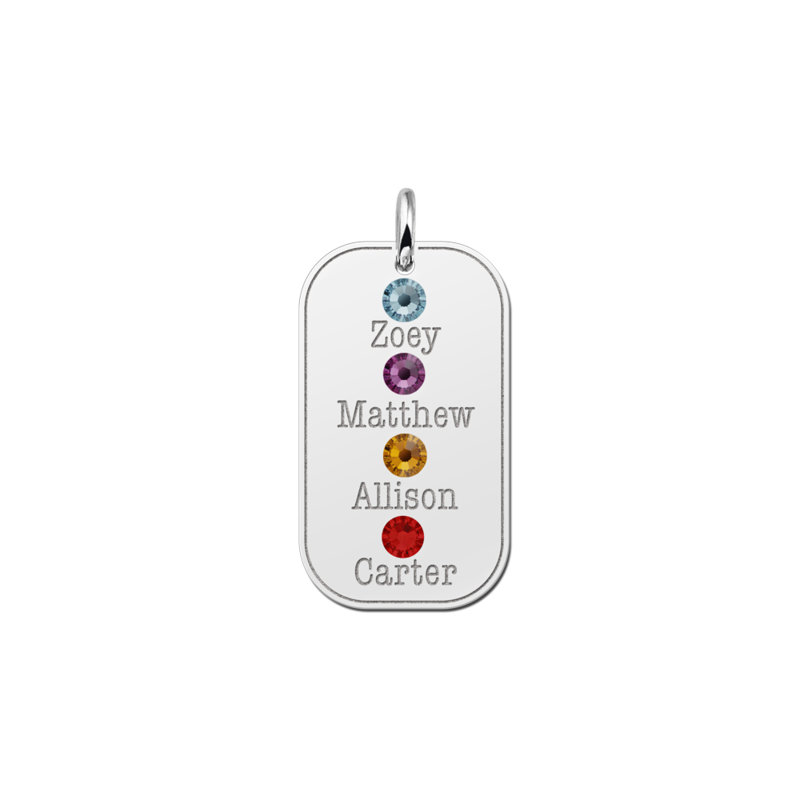 They are birthstones in a silver pendant. 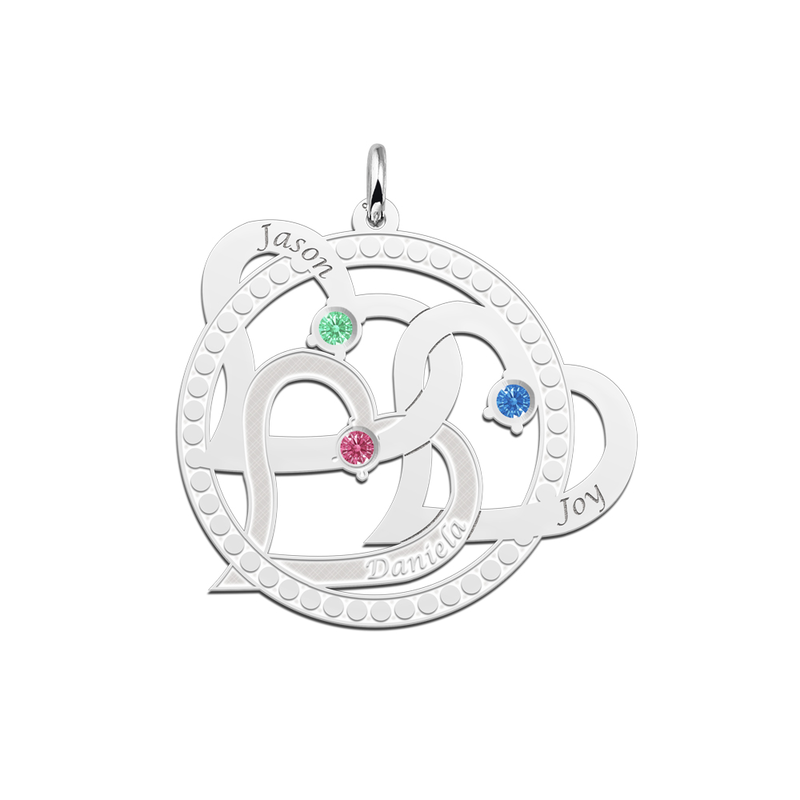 You do know your own zodiac, but do you know the color of your birthstone? What a marvelous idea is this, right? 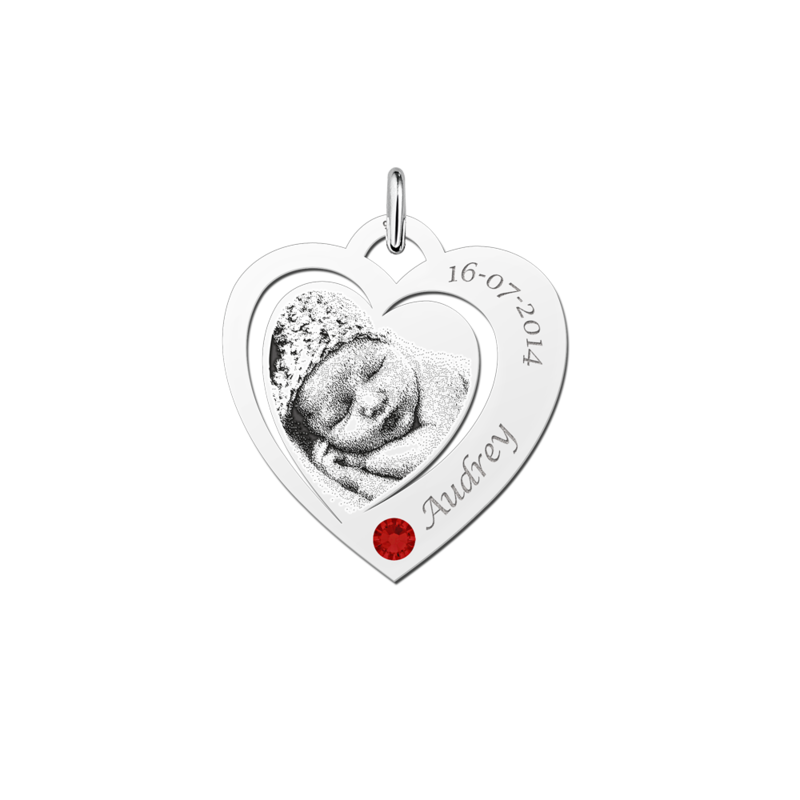 Your birthstone is incorporated in the beautiful silver birth jewellery. 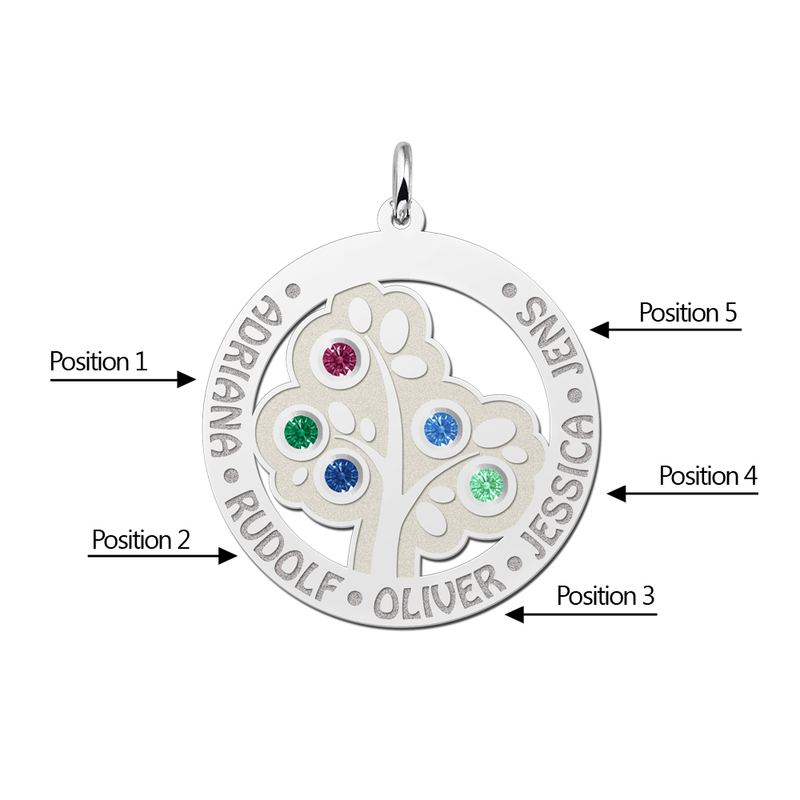 For each pendant you can choose between twelve birthstone; one for each month. 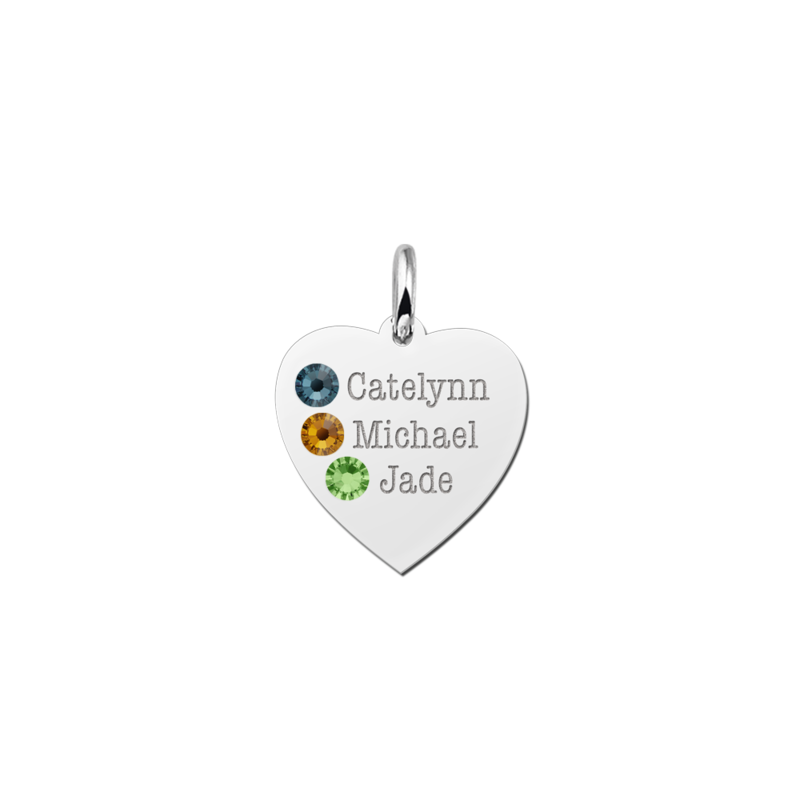 You can choose your own birthstone, the one of your partner or those of your children. 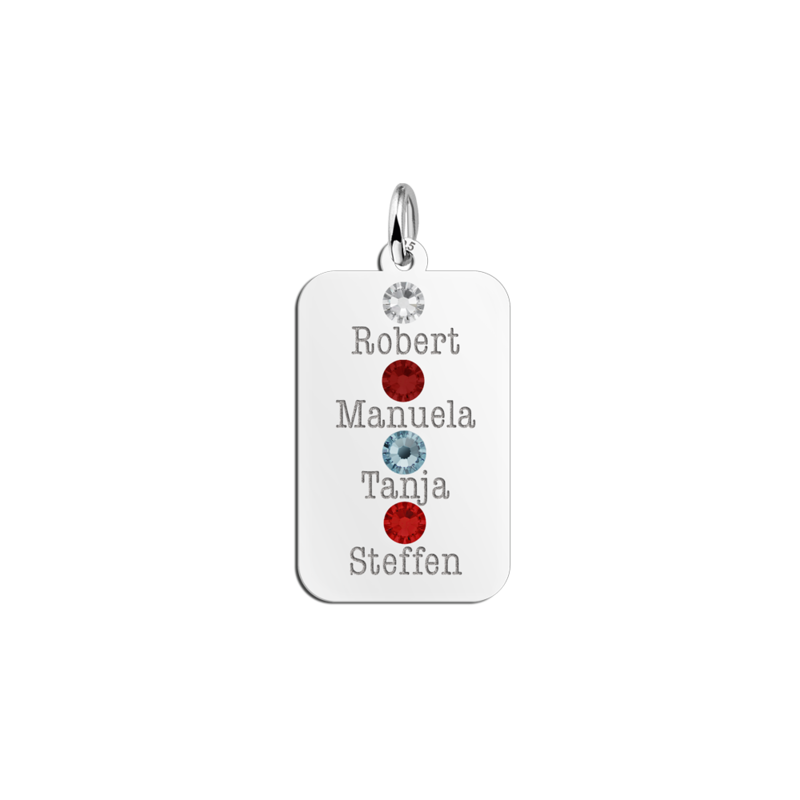 Or you can opt a stone for a special occasion. 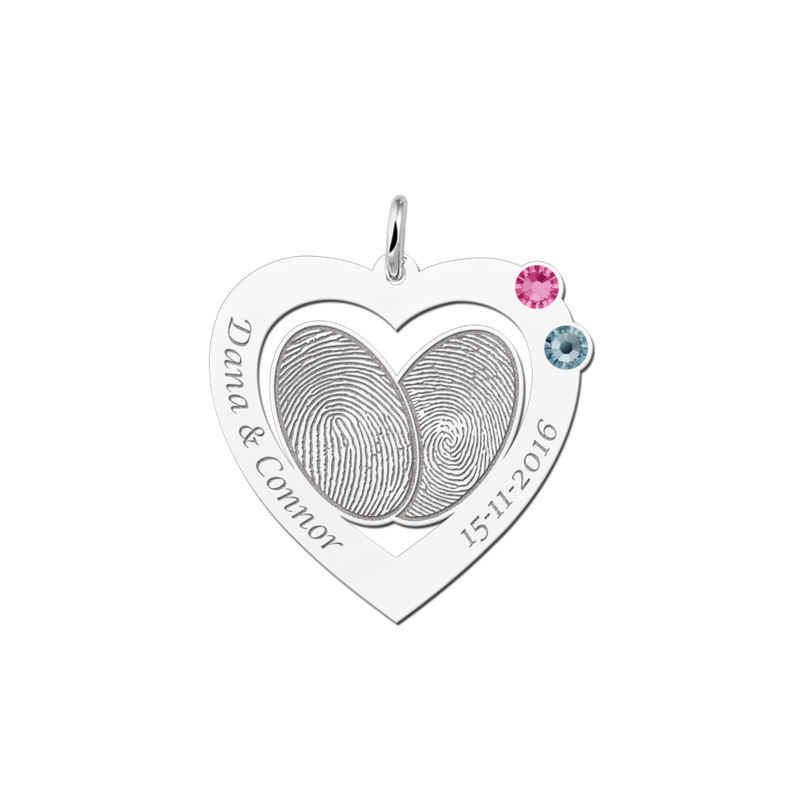 Maybe you want a silver pendant with the date of your marriage in the pendant. 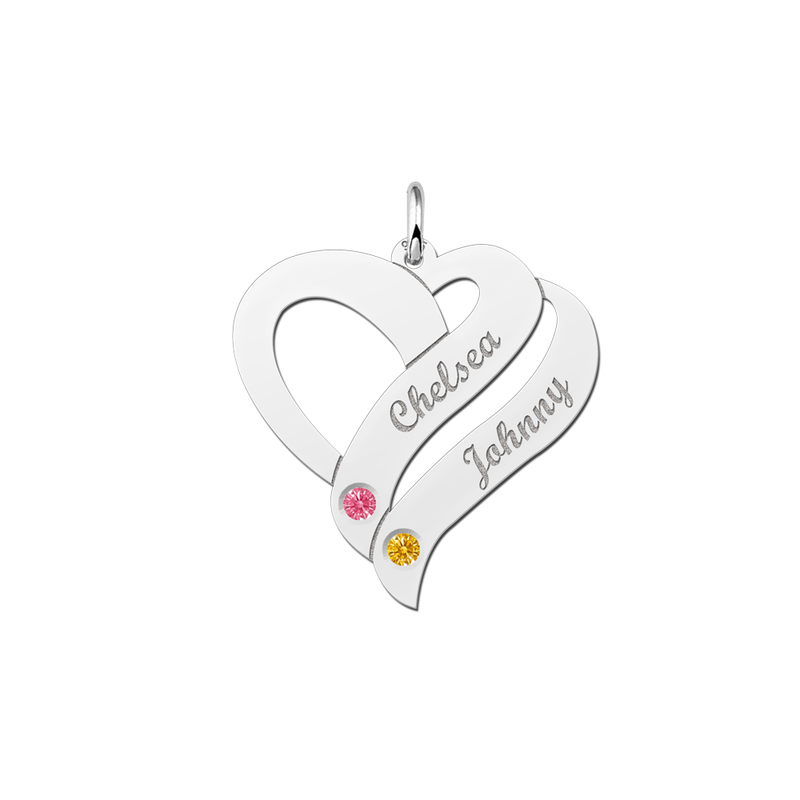 Then choose the month stone in the color of your month of marriage. 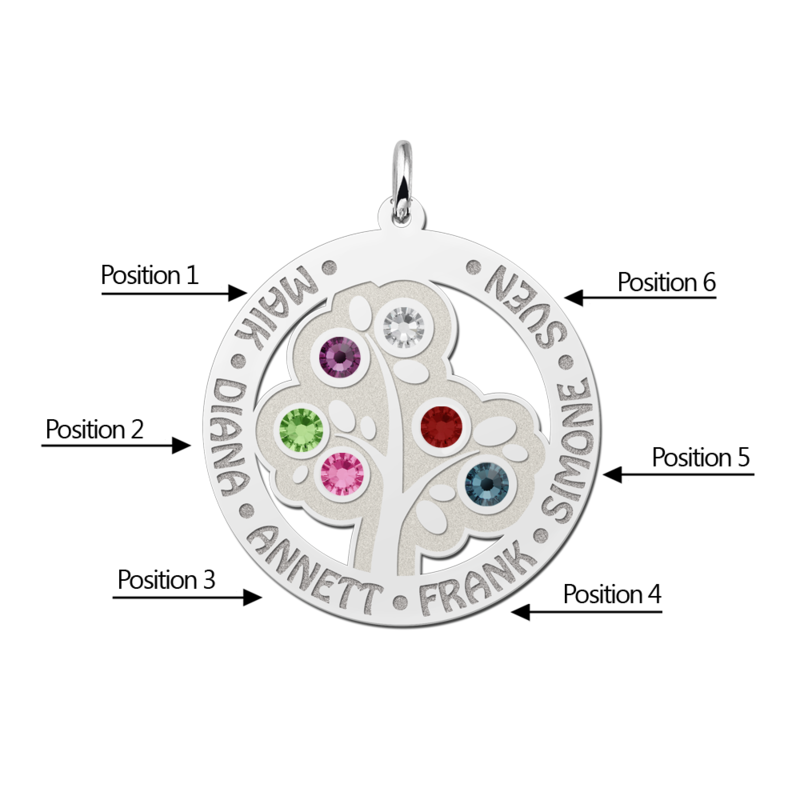 Our birthstones are made from a Swarovski crystal in the color of your birthstone. 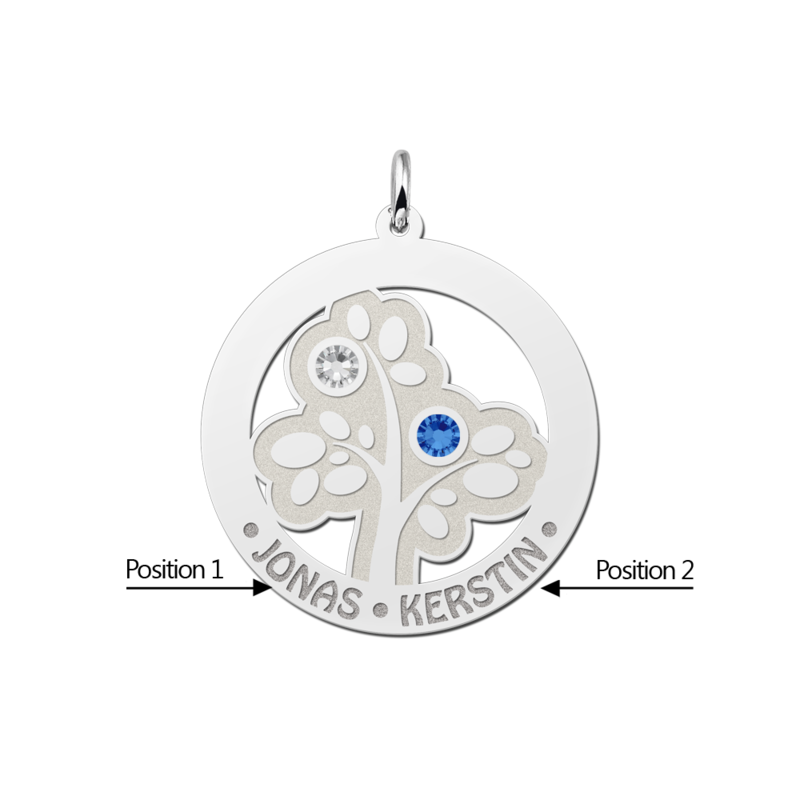 You will therefore have an astonishing, shining birthstone in the pendant! Your birthstone in a silver or gold pendant. What a super trendy idea! Your name in a silver pendant engraved with an extraordinary font type together with your very own birthstone. 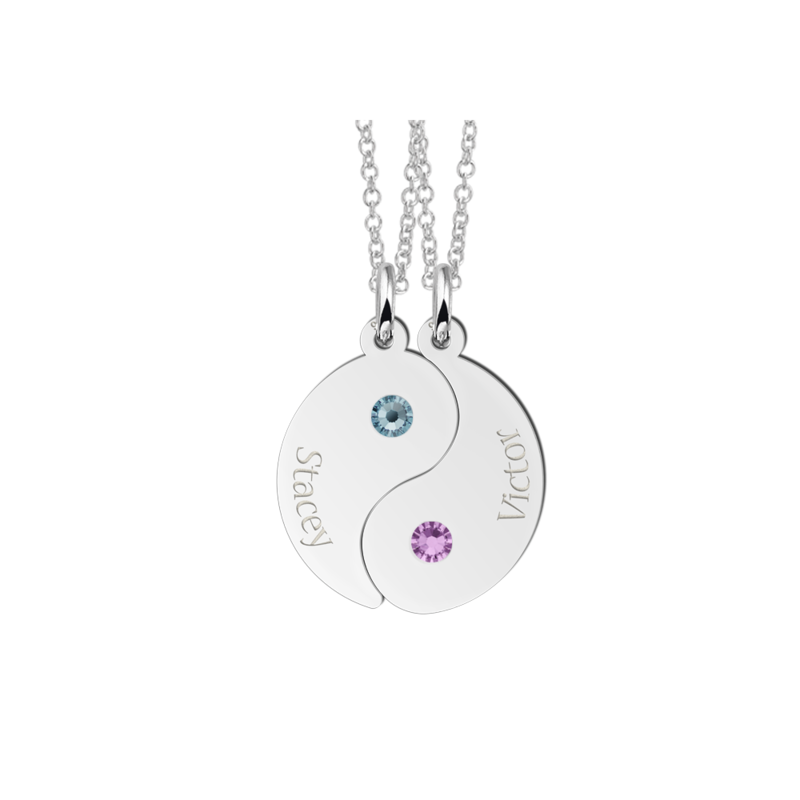 You will look astonishing with your own birthstone pendant. It can be romantic as well if you wear the birthstone of your partner with his name engraved in the pendant. 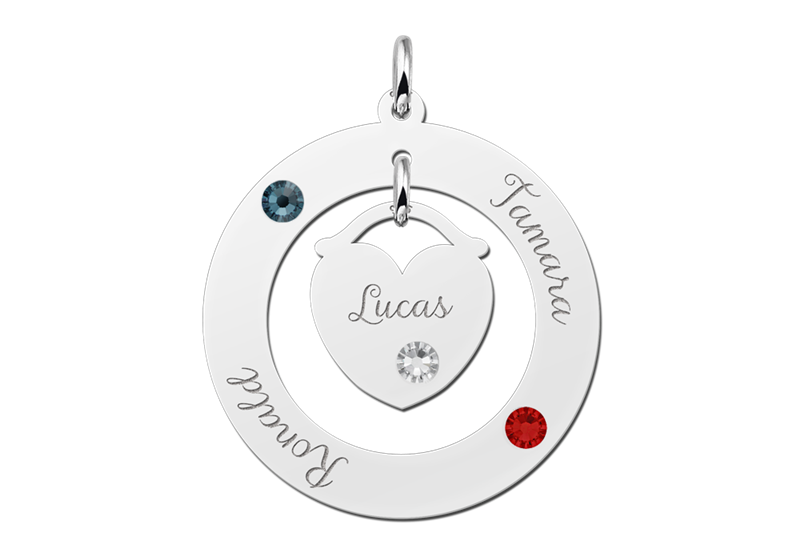 He will be so surprised to see you with his birthstone. 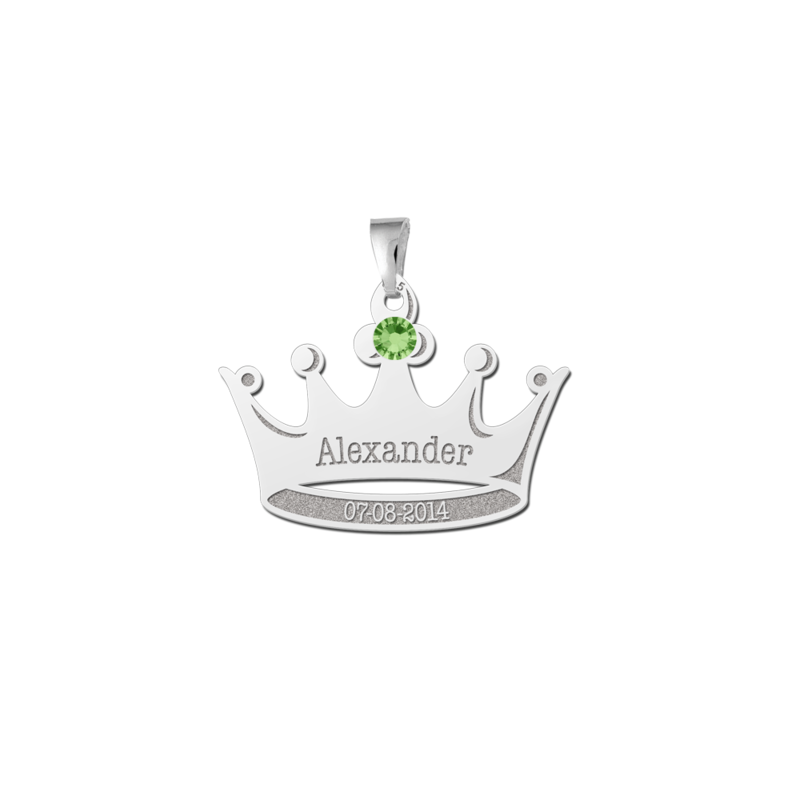 Provide us the pendant you want and we will engrave it with the name of your choice and combine it with the birthstone you want. 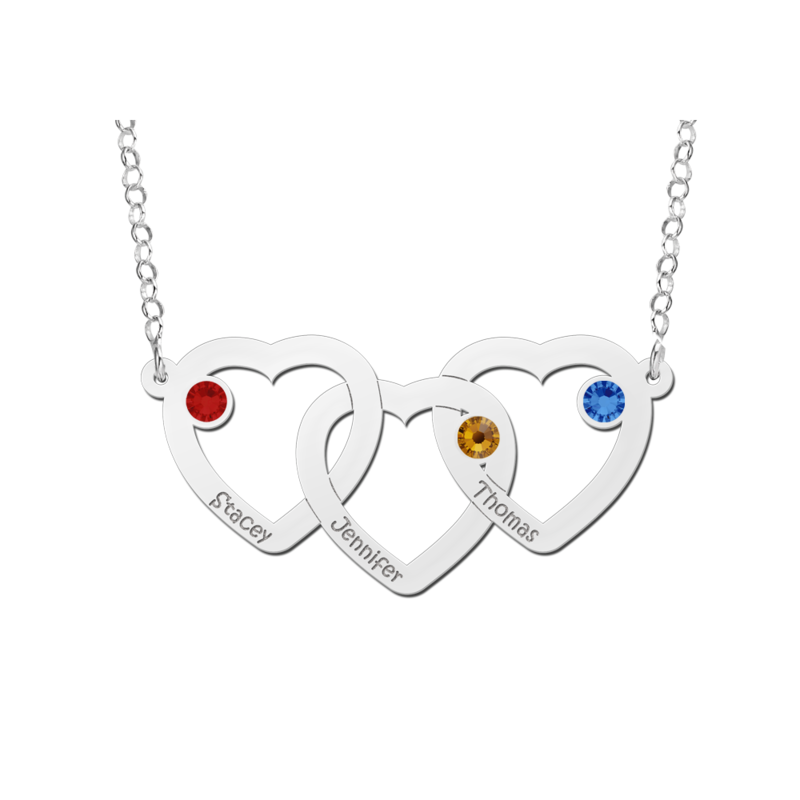 Furthermore it is possible to wear each other’s birthstone in a yin yang friendship necklace. 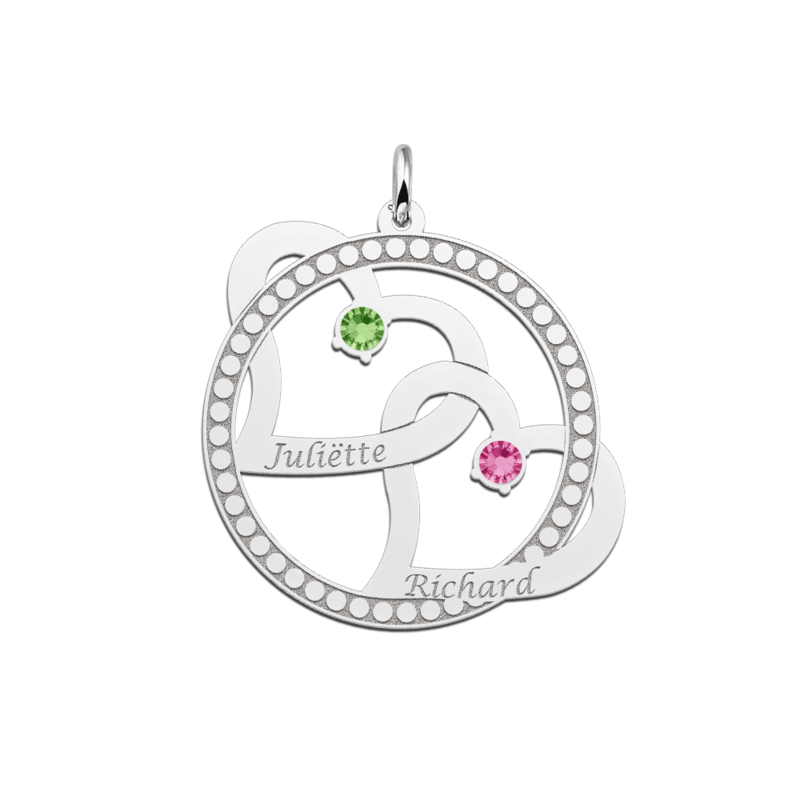 In this way, you are connected until eternity. 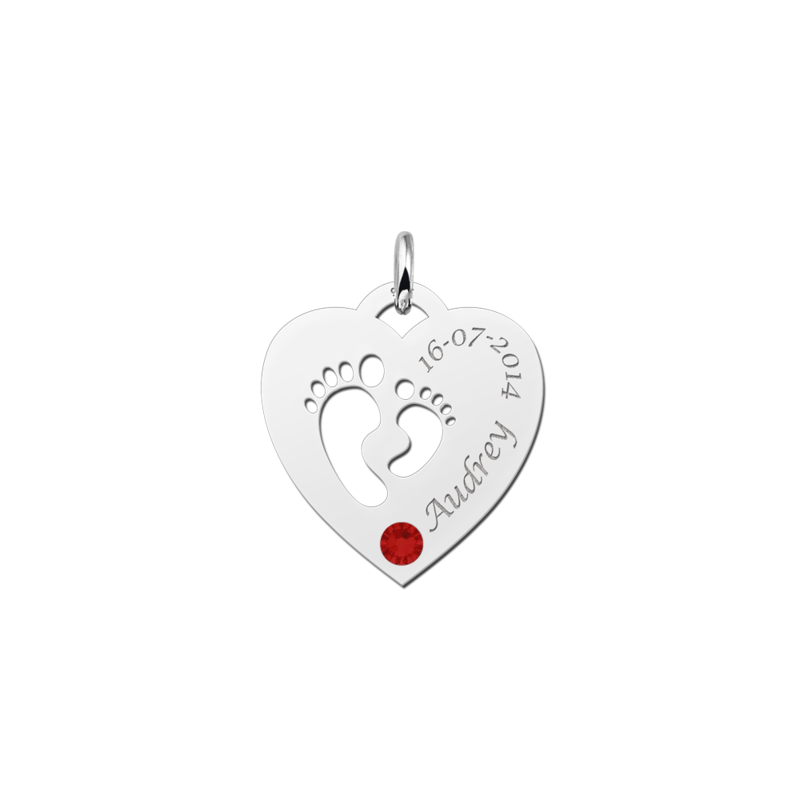 The birthstone of your baby child with his or her name in it is cute as well. You can choice a nice shape that fits your purpose and give it an unique touch, which makes it so adorable. 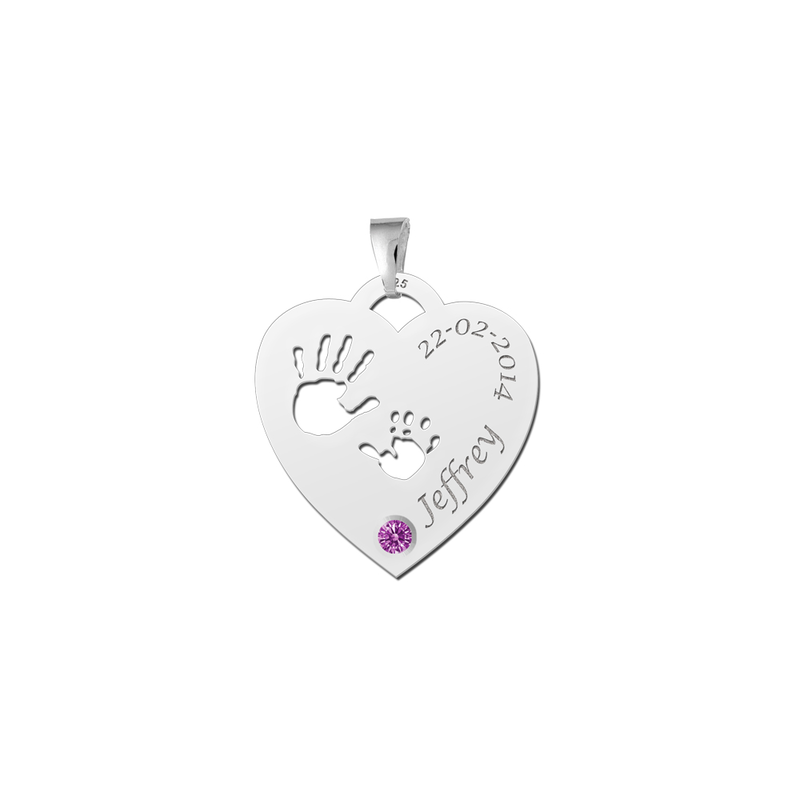 At Names4ever you always have the choice in our large collection of birthstones in silver jewellery. 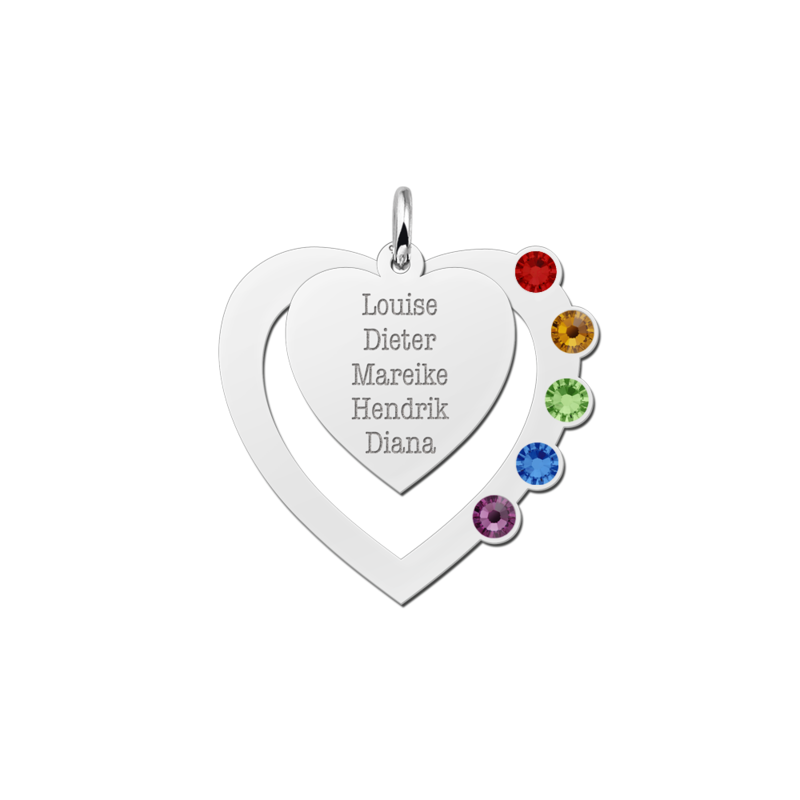 Birthstones are so popular right now! 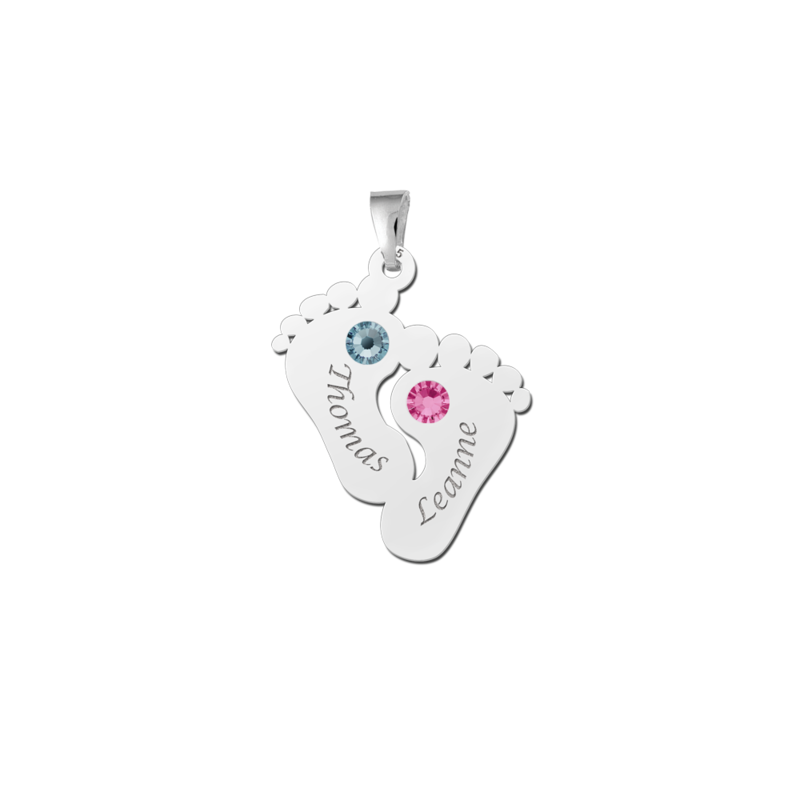 Therefor it is nice to give birthstones as a present to the new mother. 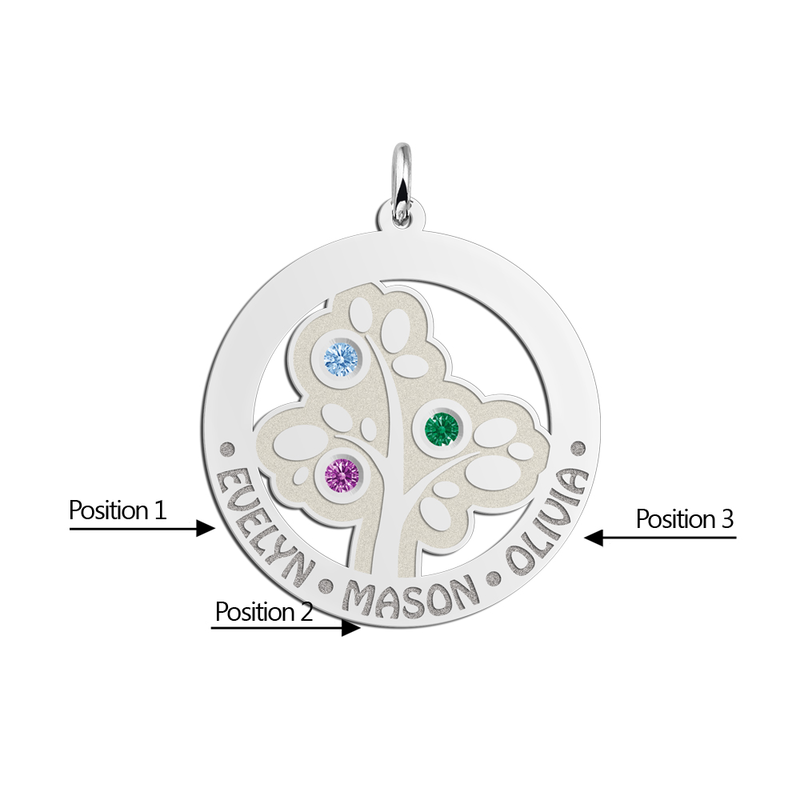 Choose the birthstone of the birth month and let us know the name of the child. 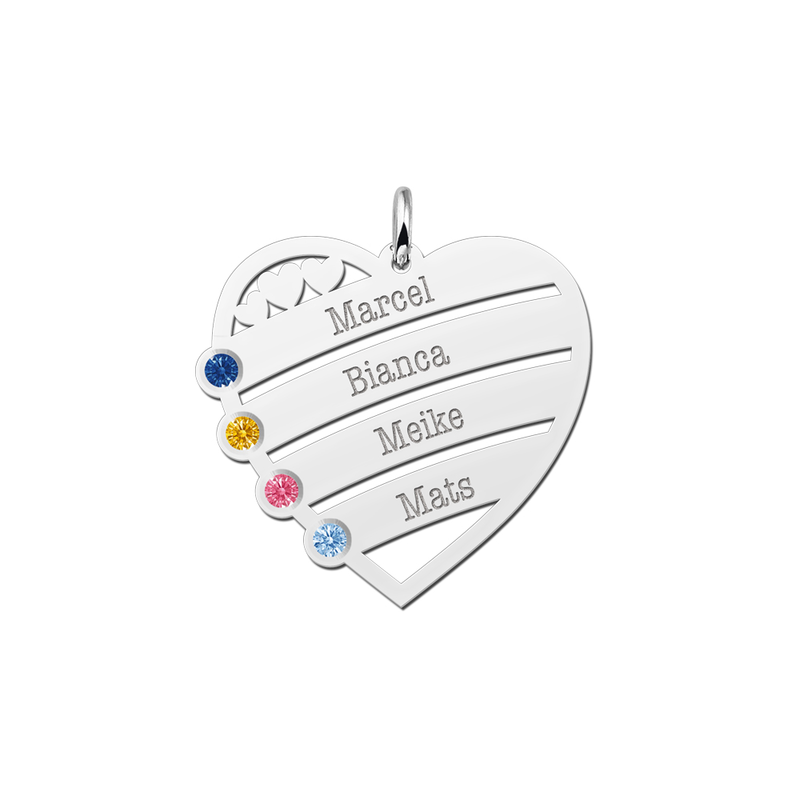 Each birthstone is made from a Swarovski crystal in the color of your birthstone. 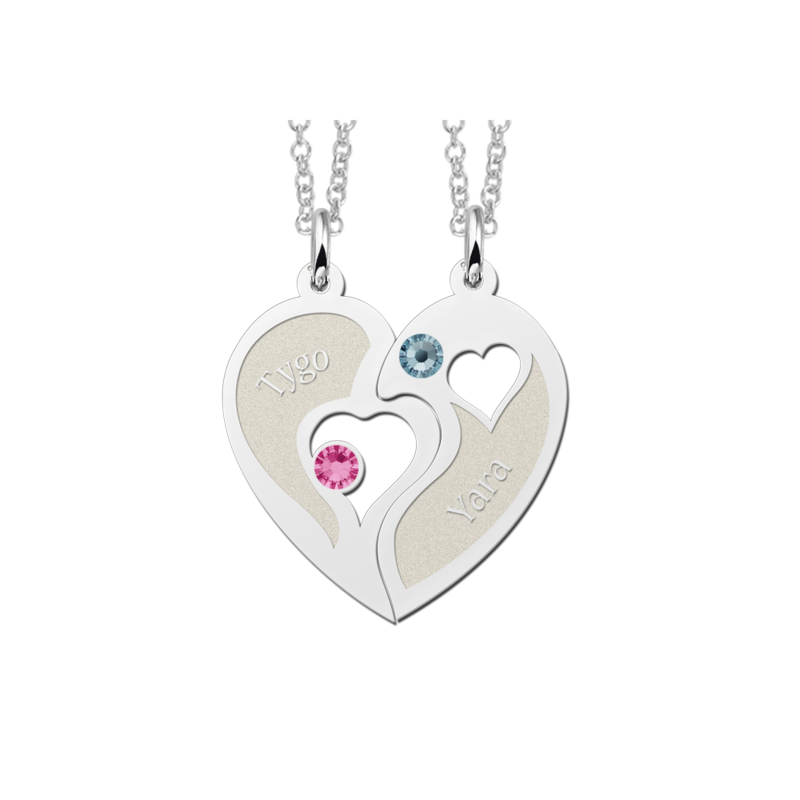 It is a marvelous idea when you are pregnant to put a birthstone necklace on your wish list. 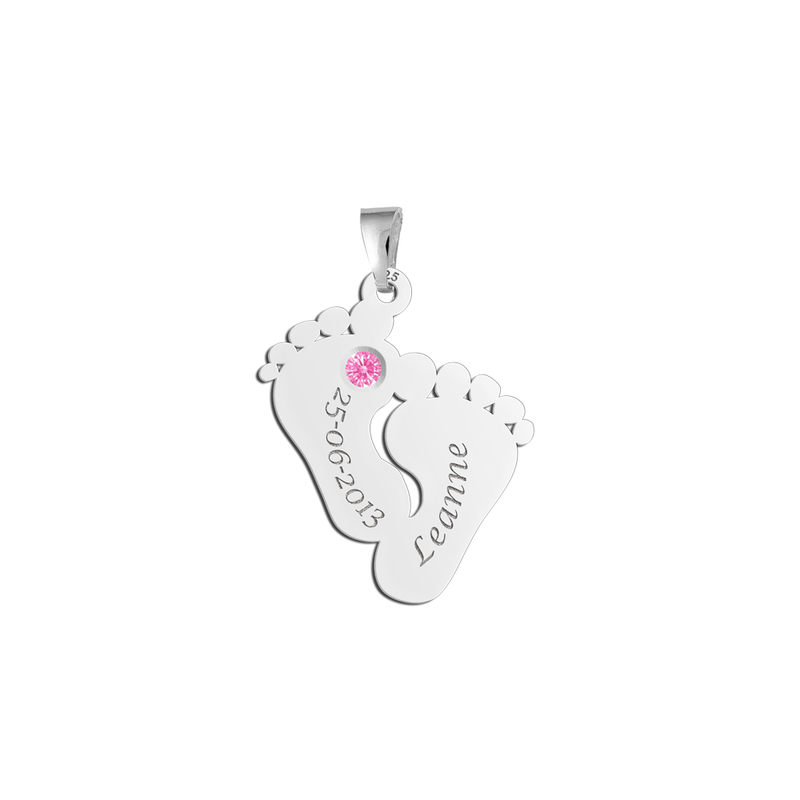 A birthstone is also nice to give away for someone’s birthday. 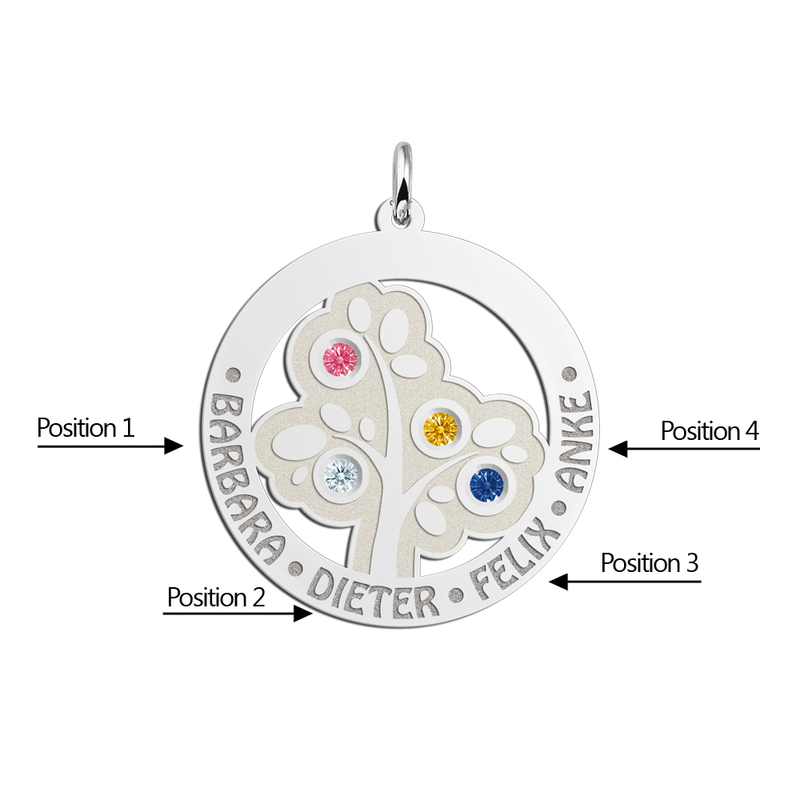 You can make your grand-mother really happy with a silver or gold pendant with one or more birthstones of the members of the family. 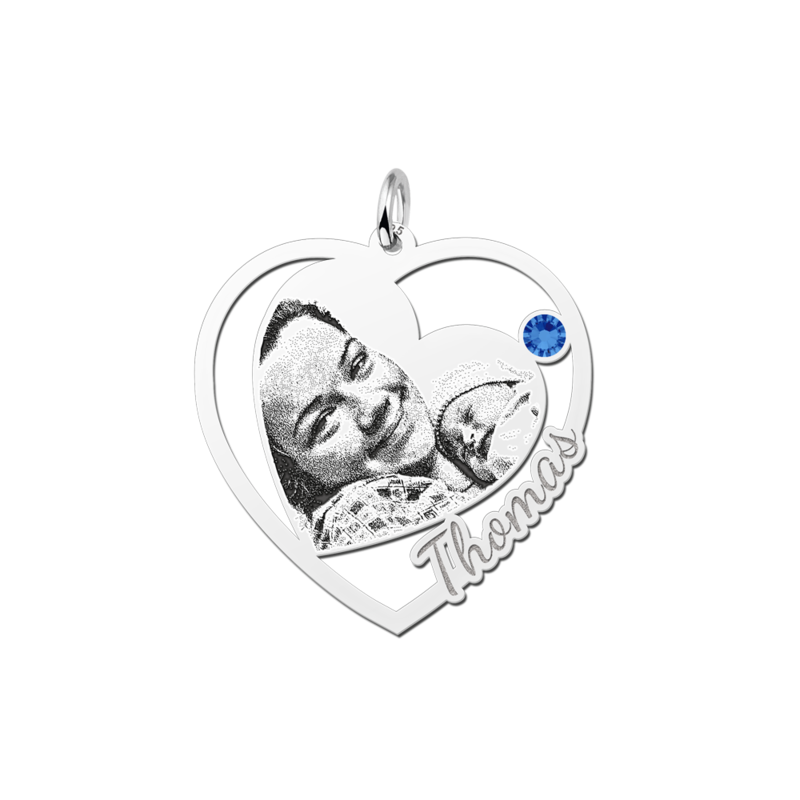 We have several sizes and shapes of pendants, so there is plenty of choice. With a lot of pleasure we will create you birthstone in silver entirely for you at a reasonable price! When you are looking for a silver pendant with one or more birthstones, you should know what birthstone is used for what month. If you have the correct birthday this should be now problem. 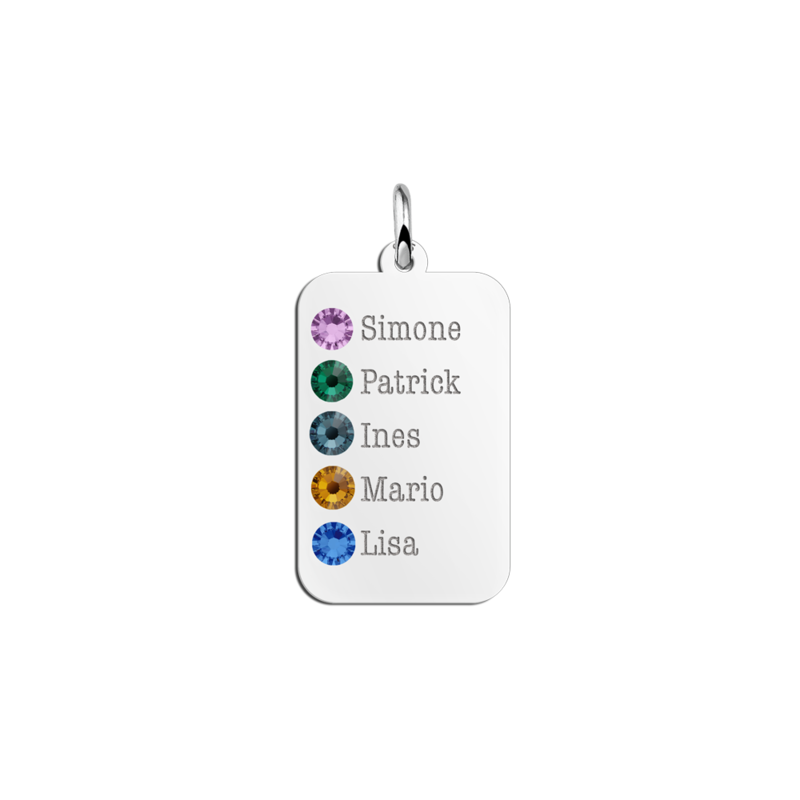 As each month has its own birthstone, so please pay attention that you choose the correct birthstone color. Furthermore look at the spelling of the name that we will engrave in it with pleasure for you!